– Are you frustrated by the clasps that are commercially available to us for our jewellery designs? Nothing lets your work down more gracelessly than the ugly and fiddle-some lobster catch! 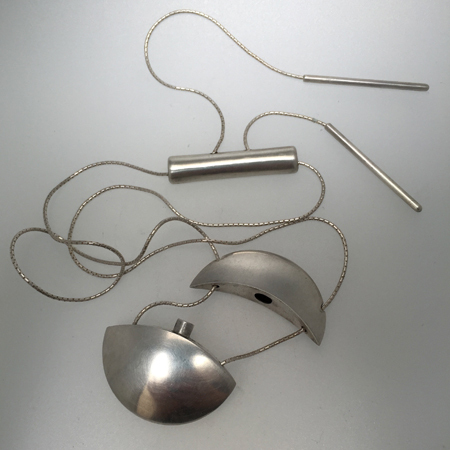 So, for this term’s course we are going old school as we explore how to design and make our own clasps for necklaces. Whether you favour box clasps, toggles or bayonets, the focus here is on making a visually integrated clasp that adds a beautiful element to your jewellery design, while also providing secure attachment.